Every maker has a story. Be a part of Exquisite Woodworking's story by placing an order, leaving a review, and seeing your review appear here. size is 23" by 34" Wood is like a snowflake, every piece is different. 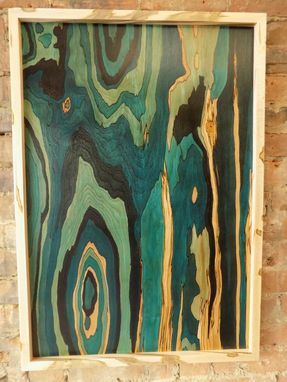 I select what I think is a cool wood panel and work diligently on dyeing different patterns with different colors.